The “minestrone” that is served in most restaurants, whether Italian or not, is often not the real deal. Because, although the recipe may vary according to the whim of the cook, the seasons and the availability of ingredients, a real minestrone is always thick and always contains either pasta or rice. 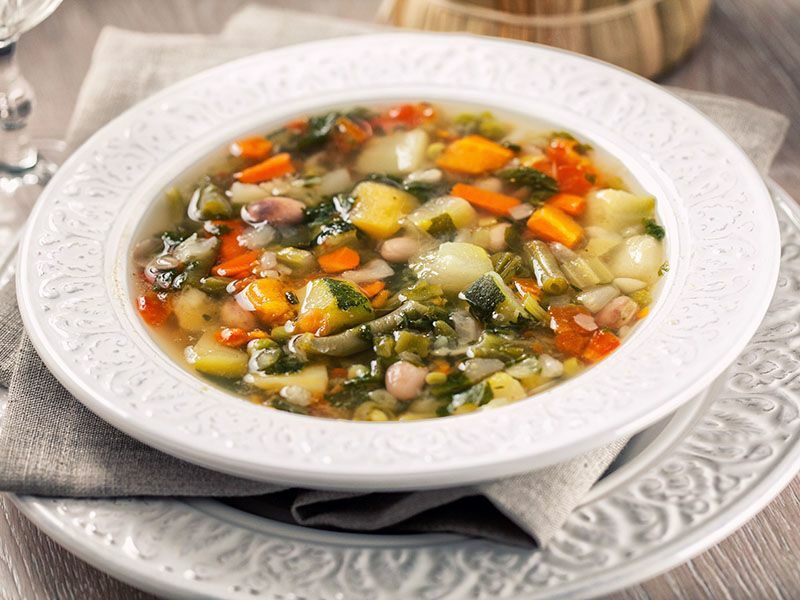 The ingredients are multiple and diverse, so much so that the term “minestrone” is used figuratively to refer to a range of different and jumbled items! But such flexibility, far from being a defect, adds strength to this humble dish from the viewpoint of ingredients that are low in cost, but rich in taste and nutritional benefits. Although no “single” recipe may be deemed authentic, the base for all minestrone soups is the same. On a sautéed layer of onions, carrots, celery and garlic, add other diced vegetables that are lightly cooked in oil to bring out the flavour. Then add beans and potatoes and cook the whole lot in a broth. Add pasta or rice right at the end and sprinkle with grated Parmigiano before serving. Originally published in the Journal de Montréal on September 14, 2013.